I’ve recently begun to feel as though I am at a crossroads in my life and, as a result, have been feeling very uncomfortable. There isn’t one particular aspect of my life that I can put my finger on that wants changing and yet I sense change is afoot; there are inner rumblings I can’t ignore. Most of my life I’ve had a clear knowing of what my next step was going to be. Today, I’m sitting in a much different place; today, I’m sitting in uncertainty. Uncertainty makes me feel vulnerable; I think it makes all of us feel this way. So we try and escape it any way that we can. This is okay, it’s actually how we’re wired. However, by quietening and soothing myself with some self-compassion, I can more clearly see that uncertainty is key to a life well-live. As Georgia O’Keefe, one who brought as many innovations to bear on her private life as she did in her art, says: “I’ve been absolutely terrified every moment of my life and I’ve never let it keep me from doing a single thing that I wanted to do.” My guess is she got very intimate with uncertainty. 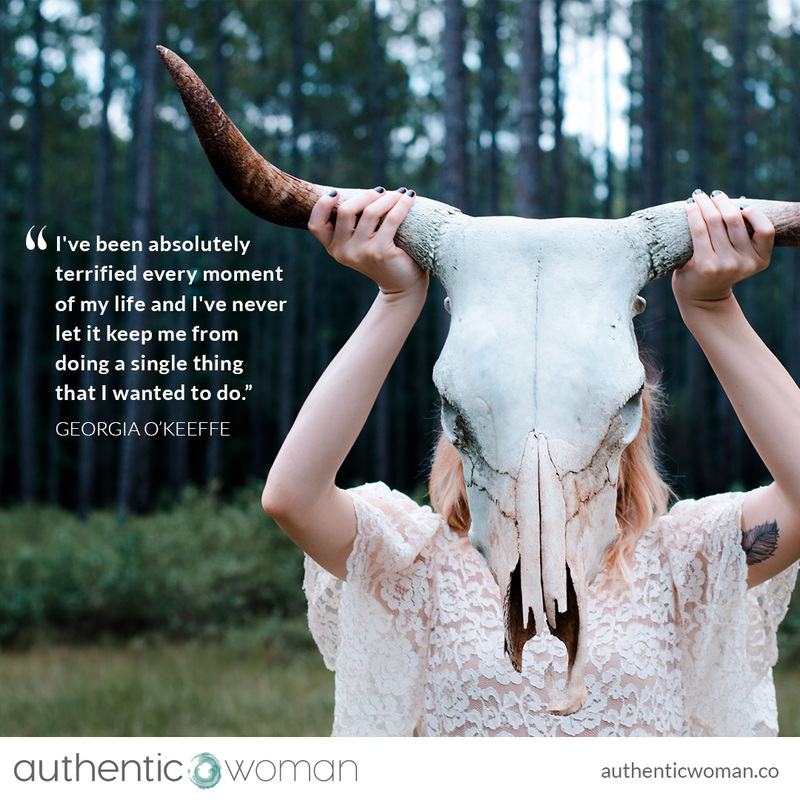 Being able to let go a little and no know what will happen next is a necessary skill for living an authentic, joyous, and meaningful life – and Georgia is a beautiful testament to this. I have found meditation facilitates this connection for me. Carving out time in my day specifically for getting quiet and getting still has allowed me to find some peace with the fact that, for today, I don’t have all the answers of what’s going to happen next.